Skulls And Kisses | UK Lifestyle and Alternative Fashion Blog. : Welcome To The Family Weasley.. Welcome To The Family Weasley.. Sorry for all the cat photos (not really, I'm not the slightest bit sorry, this guy is my little baby and I will share all the photos ever). 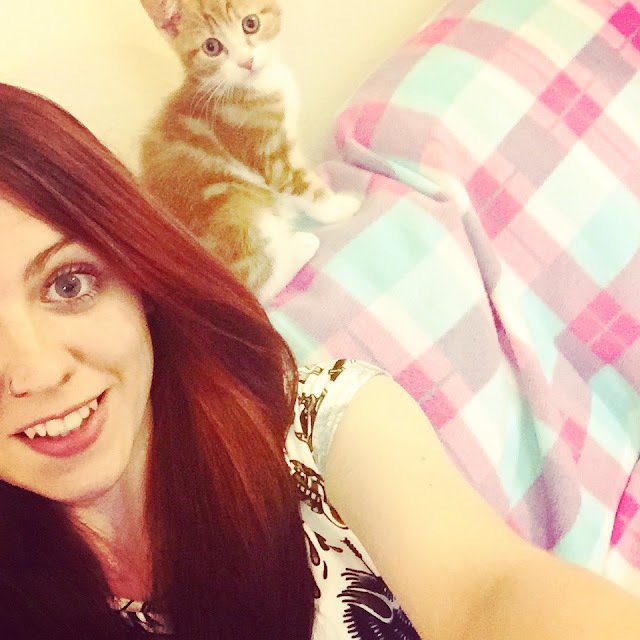 If you know me or have followed my blog for a long time you'll know how much I love cats, Oli has been featured in so many blog posts in the past, sadly Oli lives at my mam's and is technically my mam's cat since she got her. Once I got my own place to live the first thing I had to do once settled was find a cat, before I'd even properly got this flat and had signed the agreements and everything I was searching for a kitten. 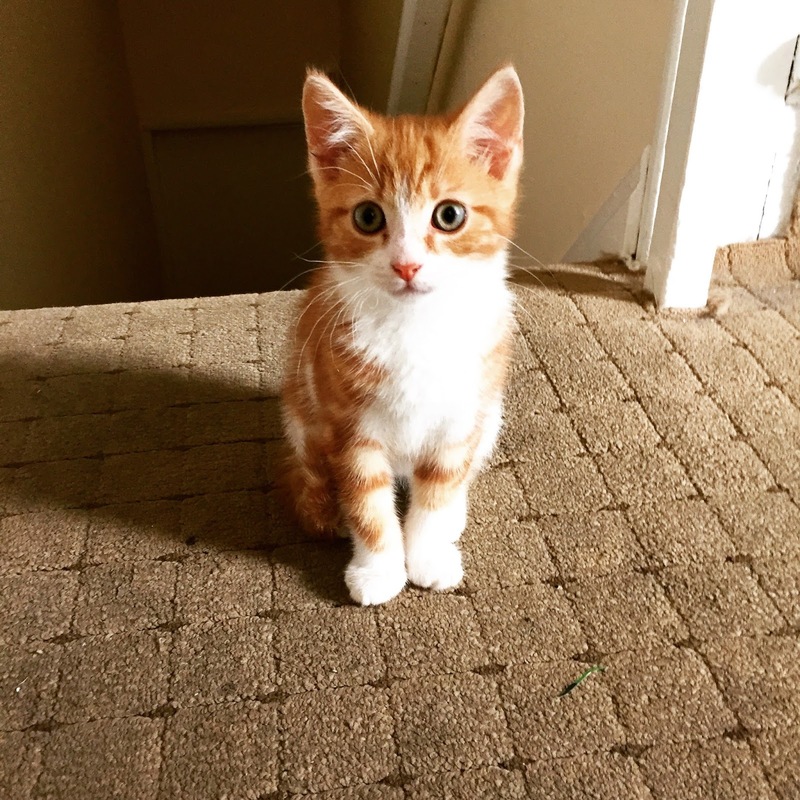 I stumbled upon the most perfect little ginger guy ever on Gumtree and my heart broke because there was no way he'd still be available by the time I was ready to get a cat. However 3 weeks later he was still being advertised so it was clearly fate that he belonged with me, off I went to get him and now he is mine.. It seems I am 100% certified as a crazy cat lady now but that doesn't bother me because he literally makes me laugh ridiculous amounts when I'm not sat looking at him going 'awwww'. This post was basically to show off the cutest little fur baby ever, I seriously cannot believe I have my own kitten! Also remember to follow my instagram so you can see all the cutest photos ever! Aww he's absolutely adorable! I love ginger cats too, there's just something extra cute about them aha. And I'm loving the name by the way, is there any other name so apt for a ginger cat? Lovely post!! I love him and I'm so jealous! We had a big fat ginger cat back at home called Martin, he was amazing (still miss him!). Simon and I are hoping to get a pet when we're in our new house, we keep changing our mind whether to get a puppy or a kitten! He is so cute! And Weasley is an awesome name. Awww what a cutie :) can't wait to read his adventures!